Finished reading The German War – A Nation Under Arms, 1939-45 by Nicholas Stargardt, a monumental work of research, condensed into a narrative featuring certain protagonists throughout, their letters and diaries: from soldiers, their lovers or wives; writers and journalists; doctors and tradesmen and railway workers; and the large numbers of civilian victims and Holocaust murdered. Unfortunately, Karl Kühnel was in a tiny minority of German soldiers (one hundred and twenty one) who refused to fight, while millions of others, lemming-like, succumbed to the cult of der Führer and brought disaster to many peoples and themselves. And one of the most (at least to me) shocking aspects of the book is the extent to which regime and society merged, and the extent to which many ordinary German citizens knew or had a fair idea what was going on regarding the extermination camps and the work of the Einsatzgruppen death squads in the eastern territories conquered by Nazi Germany. Of course there was fear and intimidation, and subsequently many would take refuge in the fact that living under a dictatorship absolved them of personal responsibility. But Hitler could not have got away with half of what he did had it not been for the silence of the churches (Protestant and Catholic) and the quiescence of the population, too many of whom shared his anti-Semitic and racist views and enjoyed the spoils of war. Indeed, such was their understanding of their collective guilt that, as Stargardt points out, they came to view the RAF and USAF bombings of cities and the immolation of thousands of children, women and men (420.000) as divine (or Judeo-organised) punishment for what they had done. 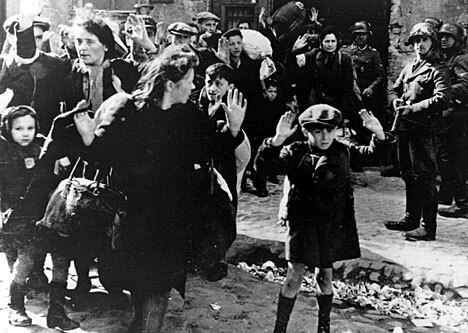 The real heroes were those who had hidden, the 1,400 Jews in Berlin who survived the war. And are wading in blood. After the war, old networks proved strong with the professional elites, says Stargardt. What Brexit reminds nationalists in the North is of Britain’s historical and divisive role of interfering in Irish affairs, whose legacy we are still dealing with in fragile, distrusting and testing circumstances. Once again, Britain’s interests trump those of the Irish people, a clear majority of whom, both North and South, are opposed to the creation of a physical international border across the Irish landscape and the imposition of passport checks and customs posts. British assurances about a ‘soft border’ or replicating EU financial aid amount to nothing, given the pup the British public were sold during the referendum that a vote for Brexit would result in £350 million a week going to the NHS. It appears that Britain has forgotten all the lessons of the conflict and the compromises we on this island made in order to create peace and stability. I, like most republicans, do not trust Britain. That’s why the Belfast Agreement has the status of an international treaty. Our membership of the European Union provides us with some protection from British abuses – as well as being an economic lifeline, supporting farmers and border regions and multiple peace and infrastructure programmes. It’s ironic that while the violence of dissident republicans has failed to destabilise the power-sharing administration or undermine support for the PSNI, the British government for its own selfish reasons is prepared to risk plunging the North back into conflict. Unless the exceptional circumstances of Ireland are respected, you can almost write the script of a potentially unfolding tragedy. During the conflict roads were dynamited and bridges blown up by the British army in order to control the movement of traffic and people in border regions. As a result of the peace process all those roads and bridges were reopened and watchtowers torn down, allowing the free movement of people and commerce. Ditching those hard-won and precious gains would be a catastrophic mistake. Farmers with land straddling both sides of the border, and the 40,000-plus who daily commute to work across the border in both directions will resent being stopped, delayed and ordered to show documentation as their nationality and status is checked, as their cars and vehicles are searched for refugees or contraband. You can count on protests, pickets, marches and rallies against customs posts, checkpoints and road closures. Police or border guards will confront protestors. Someone will get hurt. Arrests will be made. Imprisonments may follow. It could escalate from there. I travel throughout my country regularly. I will not be producing a passport or a driving licence, or identifying my passengers, be they from Andersonstown, Athlone or Aleppo, just because of some little Englanders, obsessed with immigrants, who know little about us and care even less. 28th October. Took part in a platform discussion tonight in the Felons Club to commemorate the 40th anniversary of the death of Maire Drumm who was assassinated in the Mater Hospital on 28th October, 1976. 25th October. Did a television interview for Thursday night’s The View regarding my tweet joking about SDLP leader Colum Eastwood addressing the UUP conference last weekend. 22nd October. In the Armagh Harps GAA Club, Armagh city, I gave the annual Peter Corrigan Lecture on the subject of the 1981 hunger strike.